Effective management of stormwater relies on our ability to accurately predict the effects that urban development will have on the water balance at different scales. These predictions are typically determined through hydrologic models that are calibrated and validated against measured flow, precipitation and routine meteorological data. Evapotranspiration (ET) comprises up to two thirds of the water balance, but is one of the most difficult components to measure. Most hydrologic models estimate this component based on theoretical relationships developed from field trials and experiments conducted in other parts of the world. This collaborative project with York University researchers provides one of the first locally-derived datasets that can be used to develop more accurate estimates of the ET component of hydrologic models. 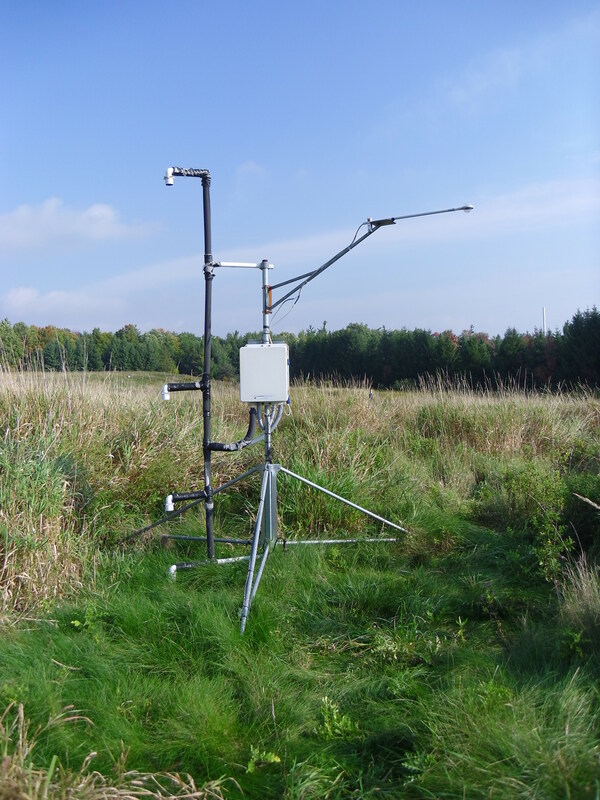 In this study, continuous measurements of actual evapotranspiration (ET) and other ancillary meteorological variables were made over three seasons at different locations in the Greater Toronto Area. Each location was characterized by different land cover types and levels of impervious cover. Sites included a flat commercial roof covered with gravel in Toronto, a mixed use residential/industrial land use in Richmond Hill, and a naturally vegetated meadow at Kortright in Vaughan. Actual ET measurements were compared to potential ET (i.e. maximum ET under the same meteorological conditions if water was freely available) in order to understand how landcover types with varying degrees of natural permeability affect the site water balance. The Priestley-Taylor equation was used to obtain an estimate of potential ET (PET). Results showed large deviations between actual and potential ET values as surface permeability decreased. The data and relationships generated through this project can be used to estimate actual ET in local watershed and site scale hydrologic models. 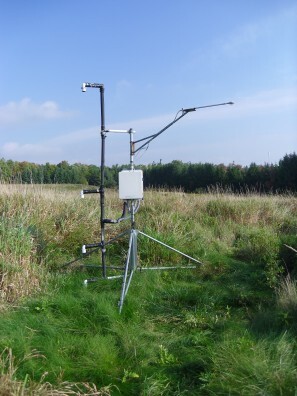 Continued monitoring of field, wetland and pan E and ET is being conducted at the Kortright Centre. These data will be integrated with earlier datasets to provide improved guidance on ET rates and water balance model parameterization for different land cover types.